11) International Atomic Energy Agency CRP Program-Development and use of rumen molecular techniques for predicting and enhancing yak productivity. IAEA: CPR31872, 2003-2009, $ 60000. 2. C.T. Wang, R.J. Long, Q.L. Wang, Z.C. Jing, Y.G. Du and G.M. Cao. Fertilization and litter effects on the functional group biomass, species diversity of plant, microbial biomass and enzyme activity of two alpine meadow communities. Plant and Soil, 2010，331：377-389. 3. C.T. Wang, R.J. Long, Q.L. Wang, Z.C. Jing, J.J. Shi. Changes in Plant Diversity, Biomass and Soil C, in Alpine Meadows at Different Degradation Stages in the Headwater Region of three Rivers, China. Land Degradation & Development, 2009，20: 187-198. 4. C.T. Wang, R.J. Long, Q.L. Wang, Z.C. Jing, Y.G. Du and G.M. Cao. Effects of soil resources on species composition, plant diversity, and plant biomass in an alpine meadow, Qinghai–Tibetan plateau. Israel Journal of Ecology & Evolution, 2008, 53: 205-222. 5. C.T. Wang, G.M. Cao, Q.L. Wang, Z.C. Jing, L.M. Ding, R.J. Long. Changes in plant biomass and species composition of alpine Kobresia meadows along altitudinal gradient on the Qinghai-Tibetan plateau. Science in China Series C: Life Science, 2008, 51(1): 86-94. 6. C.T. Wang, R.J. Long, Q.J. Wang, L.M. Ding, M.P. Wang. Effects of altitudinal gradients on the relationship between plant species diversity and productivity on alpine meadow, Qinghai-Tibetan plateau. Australian Journal of Botany, 2007, 55 (2):110-117. 7. L.M. Ding, R.J. Long, C.T. Wang, and Z.H. Shang. Grazing behavior of lactating and non-lactating Yaks in the summer season of the Qinghai-Tibetan plateau. Israel Journal of Ecology & Evolution, 2006, 52: 141-149. 8. L.M. Ding, R.J. Long, Y.H. 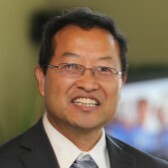 Yang, S.H. Xu, C.T. Wang. Behavioral responses by yaks in different physiological states (lactating, dry or replacement heifers), when grazing natural pasture in the spring (dry and germinating) season on the Qinghai-Tibetan plateau. Applied Animal Behaviour Science, 2007, 108: 239-250. 9. G.M. Cao, X.L. Xu, R.J. Long, Q.L. Wang, C.T. Wang, Y.G. Du and X.Q. Zhao. Methane emissions by alpine plant communities in the Qinghai -Tibet Plateau. Biology Letters, 2008, 4: 681-684. 16. C.T. Wang, G.X. Wang, Wei Liu, Q.L. Wang, Z.Y. Xiang. Vegetation roots and soil physical and chemical characteristics in degeneration succession of the Kobresia pygmaea meadow. Ecology and Environmental Sciences. 2012, 21(3): 409-416. 1)	2013, Academic and Technical Leader Reserve Candidate of Sichuan Province. 2)	2013, Expert of National Torch Plan in Talent Tank, Ministry of Science and Technology. Cao, Xinquan Zhao, Ping Sun, Changting Wang, Qiji Wang, Quanmin Dong.《Alpine Meadow Ecosystem and Global Change》, the People’s Government of Qinghai Province, the First Prize in Qinghai province science and Technology Progress Award, 2010.05. 5) Genxu Wang, Guoying Zhou, Changting Wang, Junfeng Wang, Yuanshou Li, Yibo Wang, Yonghen Gao, Yan Yang, Na Li, Guangsheng Liu, Chunjie Li.《Surface Process and Environment changes in the Headwater Region of Three Rivers, China》，the People’s Government of Qinghai Province, the First Prize in Qinghai province science and Technology Progress Award, 2013.04.